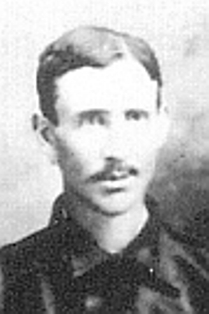 Charles “Adonis” Rapp was a left-handed pitcher (he also played first base and outfield) who began his career with the Austin Senators in the Texas League in 1898. For the next several years he played for a variety of Midwest based clubs (Fort Wayne, Saginaw, Grand Rapids) in the Interstate and Michigan State Leagues. “Charles Rapp, former ball player, and well known throughout the city, killed his mother late Saturday and then committed suicide. The weapons used were a hammer, a dull paring knife and a small pair of shears. It is said that Rapp had a tendency towards insanity, that the tendency had been marked during the last few days and that he undoubtedly deranged when he attacked his mother. Henry Long was born in Chicago in 1870 or 1871 (cemetery and death records disagree), he was the younger brother of Herman who had a 16-year big league career. Little is known about Henry’s early life, or when exactly he began playing professional baseball. Based on newspaper reports he appears to be the “Long” who played with the Battle Creek Adventists in the Michigan State League in 1895. Long didn’t last in Lewiston, he was 0-2 in just three games before he was released. Long then appeared in one game for the Shamokin Actives in the Pennsylvania State League, and then joined the Hagerstown Lions in the Cumberland Valley League. The right-handed pitcher started seven games for the Lions and was 4-3 with a 1.29 ERA. Information on where he played is sketchy—he was the Rhode Islands in the New England League in 1877 and Springfield (MA) of the International Association in 1878–but beyond that, there are few references to where he played during his career. Barry eventually returned to his hometown, Providence where he operated the Empire Saloon, on Empire Street. He was taken to Rhode Island, where he died on September 2. The cause of death was never officially determined. Phillip J. 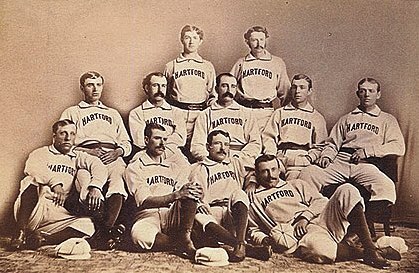 Powers again left the National League umpire staff at the close of the 1888 season. 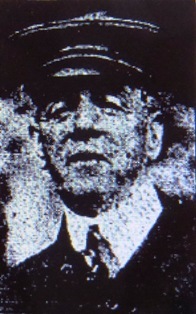 In 1889 he returned to London, Ontario to manage the Tecumseh’s, quit in May to become an umpire in the International Association, and then resigned from that job to return to the National League as an umpire in July. Within weeks he was again at the center of controversy. The Inquirer would continue to criticize Powers for the remainder of his career; a few sample quotes. “No man ever filled the position to better advantage and with more honor and credit to himself. Mr. Powers is conscientious, faithful and absolutely fearless in voicing his convictions; neither can there be any doubt of his intentions to discharge impartially the irksome duties which the office entail upon him. 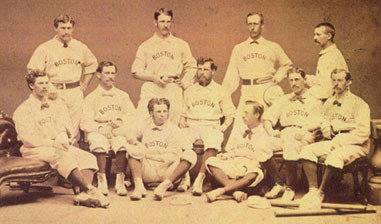 Despite O’Rourke’s defense, the criticisms of Powers continued, but he managed to stay on the National League staff in 1890 and ’91. 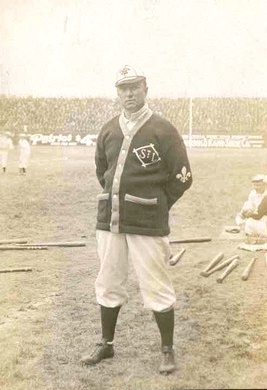 In August of 1891 Powers was released as an umpire by the National League. He died in New York City in 1914. A story that has appeared in several books and articles (all citing previous secondary sources) claims Powers pulled a gun on enraged fans in either 1888 or ’89. 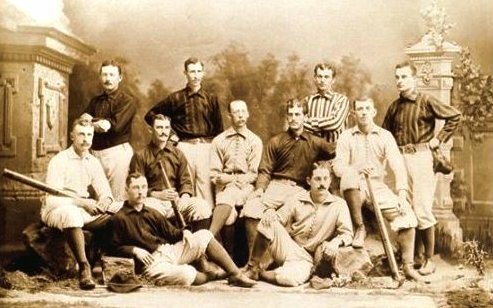 While similar stories have been attributed to other umpires (for example umpire Joe Ellick, in 1886, was escorted off the field in Philadelphia by police who drew their weapons to protect him from an angry mob) and there are numerous contemporaneous references to irate fans at games, some with Powers as umpire, none mention the gun incident. It is probably a conflation of stories such as Ellick’s and a wire service article that appeared in several newspapers in 1906, shortly after “Buck” Ewing’s death, and described another incident involving Powers and Ewing. “It was in 1889 that one of the worst rows in the history of baseball was precipitated at Cleveland by “Buck” Ewing. Phil Powers was umpiring and his weakness whenever a critical decision came up was so apparent that the crowd was on pins and needles as to which way the cat would jump. “(Jimmy) McAleer hit for two bases. After he had got (sic) to second, Ewing said something to Powers, and the umpire hesitated a moment and then declared McAleer out for not touching first base…(Powers) was not looking at first when McAleer passed, having turned his head as somebody yelled at him from the opposite side of the field. This was plainly evident to the crowd, and the moment that the spectators understood why McAleer was out they bolted from the stands and made a rush for the umpire. 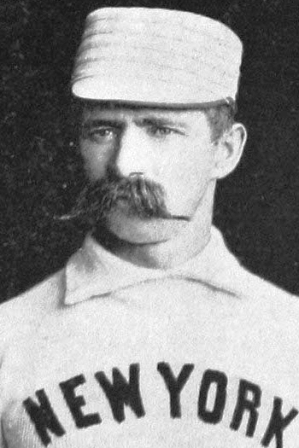 Grayson S. “Gracie” Pierce played parts of three seasons in the major leagues and was a National League umpire selected to preside over the final game of the 1886 championship series. It went downhill from there. 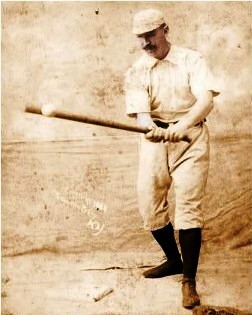 Pierce hit .186 playing for five different teams in the American Association and National League during his brief big league career; he was only slightly more successful during his single minor league season playing with the Hartford Babies and Binghamton Bingoes in 1885. 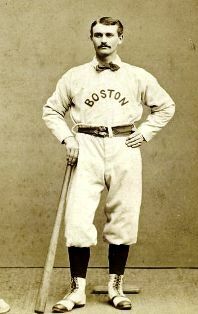 Pierce got his chance the following day—with St. Louis leading the series 3-2, he was again selected to serve as umpire. It didn’t go well for the White Stockings or Pierce. There is no record of what became of the charges, but Pierce did continue working as an umpire on the East Coast through the 1891 season. The Sporting Life reported that Pierce did not have a position with a league for the 1892 season. Pierce, who The Brooklyn Daily Eagle described as being “in a half-dazed condition” in court, denied the charges but was unable to post the $1000 bond. He was sent to Blackwell’s Island (the prison located on what is now Roosevelt Island). He became ill and died at City Hospital on Blackwell’s Island six weeks after his arrest.